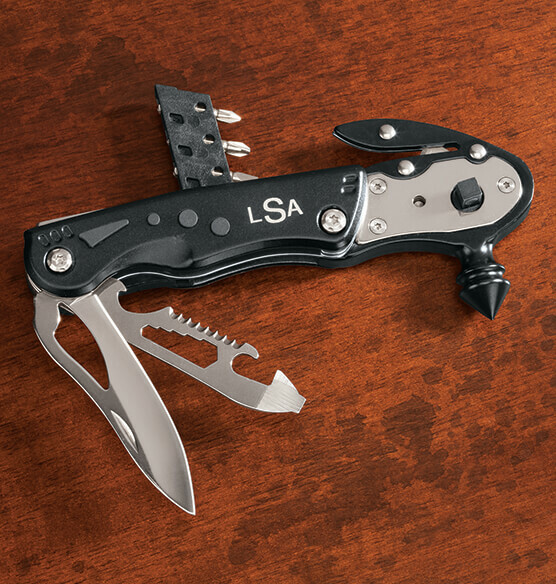 This handy multi-tool to keep in your automobile has everything you need for on-the-road emergencies. 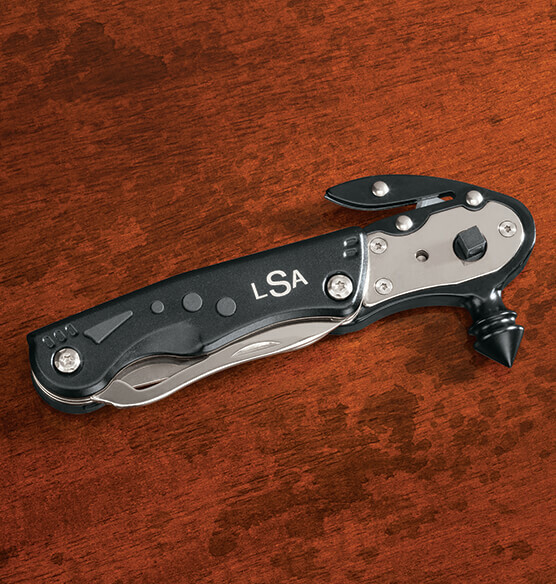 Compact yet incredibly useful, the tool includes: a glass breaker, seat belt cutter, ratchet driver with three screwdriver bits, a knife blade, a saw blade, bottle opener, multiple wrench components and an LED light. Enjoy the peace of mind that comes from knowing you can handle an unexpected situation. 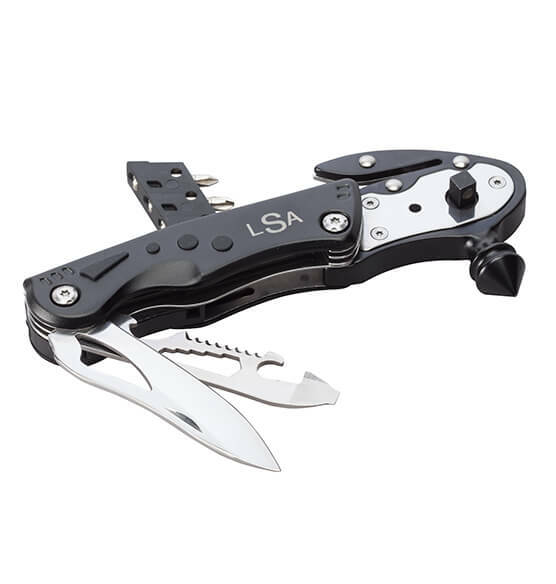 Folds down to a convenient 6 1/4" long when not in use. Tuck it into the glove box, where it’s always close at hand when you need it. Makes a useful, thoughtful gift idea. Personalize with an initial, name or monogram. Comes in a black presentation style gift box for easy gifting.